This is an image of the Greathouse at Pueblo Pintado. 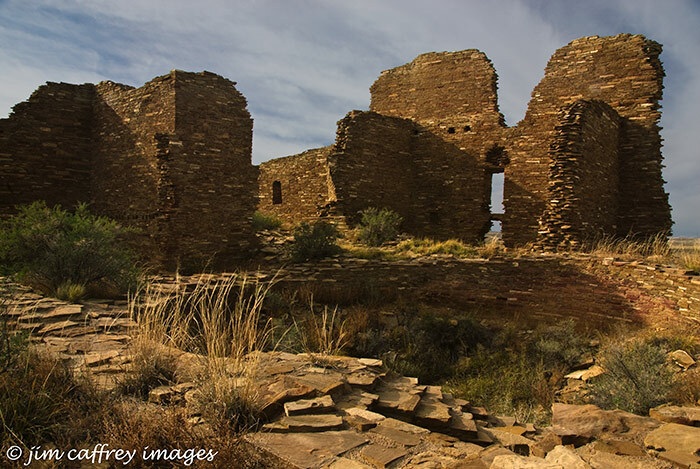 When it was occupied, and the Chacoan culture thrived, it was three stories high, and contained 135 rooms. The entire structure was composed of two wings which were at right angles to one another, each one being about 200 feet long, and joined by a semi-circular row of rooms which enclosed a courtyard. There was also a large kiva southeast of the main building, and another structure to the west of that. Pueblo Pintado, as I stated in my previous entry, was part of the larger Chacoan complex which flourished in the center of New Mexico’s San Juan Basin from around 900–1250CE. The people who built it were the Anasazi, the ancestors of the present day pueblo people of the desert southwest. Last Sunday Robin and I took a drive out through the village of San Luis, and then on through Torreon, and finally to Pueblo Pintado. Pueblo Pintado is located about thirty miles southeast of Chaco Canyon. 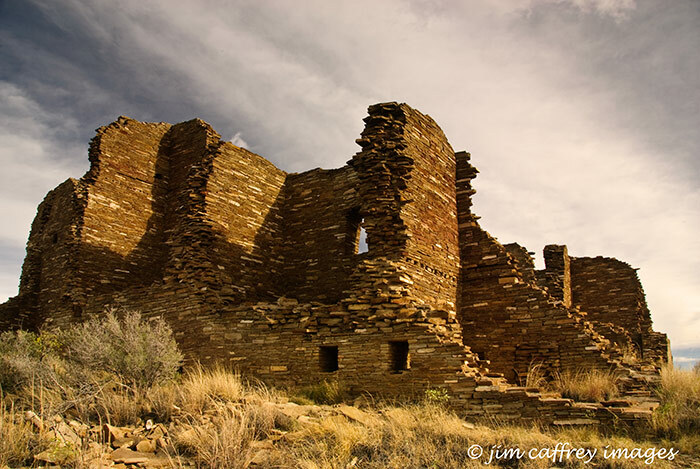 It was actually an outlying village, and a part of the Chaco culture which thrived in northwesten New Mexico around a thousand years ago. Both Chaco and Pueblo Pintado are characterized by the intricate, tightly fit stone work of the buildings. Many of the walls are still standing even though they are situated on a ridge with high exposure to wind and weather. This image shows the ceremonial kiva and the walls of the great house beyond. As I have mentioned before, when I stand amidst the ruins of an ancient culture, there is a profound feeling of connection with the people who lived there that comes over me. I try to imagine what it was like to live here at that time, and to be a part of a long forgotten way of life.